THE BACK ALLEY Art Gallery is an outdoor art gallery that, like all great galleries, features a mixture of different artistic styles. This public mural program was undertaken because we wanted to make our alleys part of the walkable, livable space downtown. 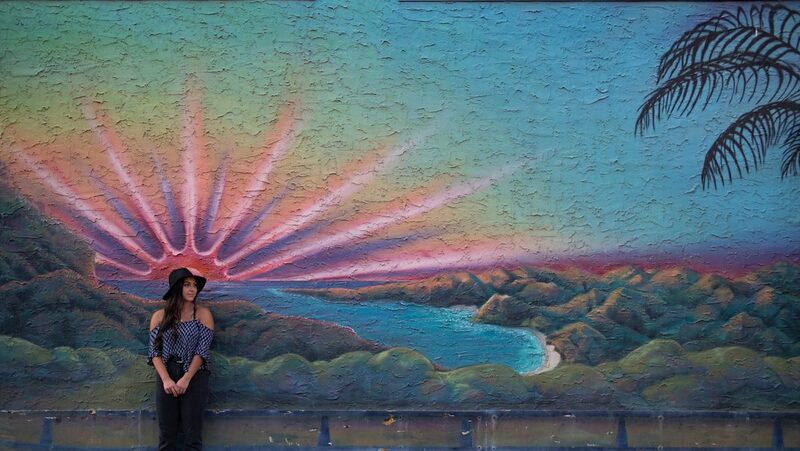 There are a total of 29 murals in Downtown Kamloops. Rather than a single theme for our murals, we wanted to create a truly eclectic collection and have a diverse range of mural styles celebrating different cultures, themes, artistic expressions, and mediums. I have had the pleasure of coordinating the installation of the new murals in the Back Alley Art Gallery for the past two years. During this time, I have grown to have a large appreciation for the amount of talent and for local artists and their dedication to this program and community. Downtown Kamloops asked Kamloopsians what they thought of the Back Alley Art Gallery and the responses were overwhelmingly positive. We are happy that you love and appreciate the value of this great program in the community. The attention this project has received through the media, local businesses and the tourism industry has been overwhelming. It has been instrumental in demonstrating to other organizations that they can produce their own murals. We are thrilled to be able to contribute to the Kamloops arts and culture landscape and will continue to do so whenever we can gain funding. We are thrilled that our efforts have resulted in other organizations producing public murals as well. We hope the trend continues. We invite you to take a stroll through the Back Alley Art Gallery and gain your own appreciation. You can find a self guided map here or pick one up at the KCBIA’s main office #4-231 Victoria Street. The CAP Team is available to provide walking tours (by donation) during their regular working hours – Monday to Friday 8 a.m.-4 p.m. and Saturday 9 a.m.-5 p.m. Email alexis@downtownkamloops.comfor more information. Don’t forget to use #downtownkamloops on your social media posts for a chance to have your pictures shared on our pages. 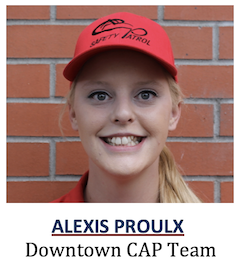 This article was written by Alexis Proulx, Customer Care and Patrol (CAP) Team Supervisor & Back Alley Art Gallery. Reach them at 250-572-3008/3009. Email capteam@downtownkamloops.com. Follow on Facebook, Instagram (Downtownkamloops) and Twitter (@downtownkamloops).